Bay Breeze Patio is a proud supporter of the Destin Charity Wine Auction Foundation, an organization whose sole mission is to support children in need along Northwest Florida. It is our belief that helping out our future community is a pretty great way to spend our energies. For more information on this amazing organization, please click here. 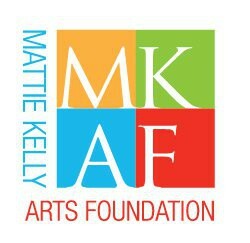 Bay Breeze Patio is a proud sponsor of the Mattie Kelly Arts Foundation and supporter of the Mattie Kelly Cultural Arts Village. When Bay Breeze Patio heard that the Mattie Kelly Arts Foundation (MKAF) was making improvements to its Cultural Arts Village and was in need on sponsors to enhance the experience, the team was quick to offer to play a part. After learning of expansion plans, including the addition of the Dugas Pavilion, an expanded Village Green, a 22-foot metal entranceway sculpture, permanent restroom facility and on-site parking to host community and cultural events, Bay Breeze Patio asked how they could support this initiative. The most pressing need was for flexible seating, and Bay Breeze Patio donated more than 600 high quality resin chairs to provide flexible, comfortable seating for guests who attend the wide range of concerts and cultural events hosted at the Mattie Kelly Cultural Arts Village. Bay Breeze Patio Co-owner Wayne Paul also serves on the MKAF board of directors. 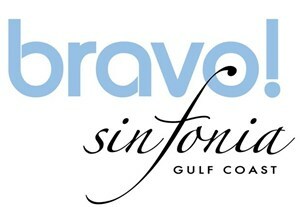 Bay Breeze Patio is also proud supporter of Sinfonia Gulf Coast . Sinfonia is committed to entertaining, educating and inspiring the community through imaginative and innovative musical programming. With Music Director and Conductor Demetrius Fuller at the helm, Sinfonia aims to enrich and expand the traditional orchestral experience through unique artistic disciplines and collaborations, enhancing Northwest Florida’s cultural vitality. Bay Breeze Patio was quick to respond to the needs of a local charter middle school. The seed of an idea by the teachers and school staff to enhance the community garden with a learning center quickly grew. With a desire to help the garden reach its full potential, Bay Breeze Patio donated a Broilmaster Grill and two side burners to kick start the project. Bay Breeze Patio worked collaboratively with local builder, Jeremy Trantina of JAT Specialties, who designed and built the learning center and pergola. Fired Up-Paint Your Own Pottery joined in with the donation of tiles, allowing the students, faculty and local businesses to purchase and create hand-painted tiles as a way to fund the project. Famous Chef Emeril Lagasse served as the first guest mentor to use the learning center and christened the garden kitchen. The students toured Chef Lagasse through the garden and he conducted a cooking demonstration using the fresh produce the class had been growing this year. Bay Breeze Patio welcomed Food For Thought as a beneficiary of Eggs on the Beach in 2016. In just two years, the event has raised nearly $30,000 for this non-profit. With food pantries in Santa Rosa Beach and Destin, Food for Thought helps fight food insecurity by providing backpacks filled with healthy, easy to prepare foods for more than 2,000 students who are dependent on free or reduced school meals in Okaloosa and Walton Counties. Bay Breeze Patio partnered with Fisher House of the Emerald Coast for the first annual Eggs on the Beach Cooking Competition in 2014. The event has raised nearly $60,000 for the cause over the last four years. Located on Eglin Air Force Base, the Fisher House of the Emerald Coast provides a “home away from home” for military families so they can be together during medical treatment.